Azura Ruisselante is a broadcasting unicorn. 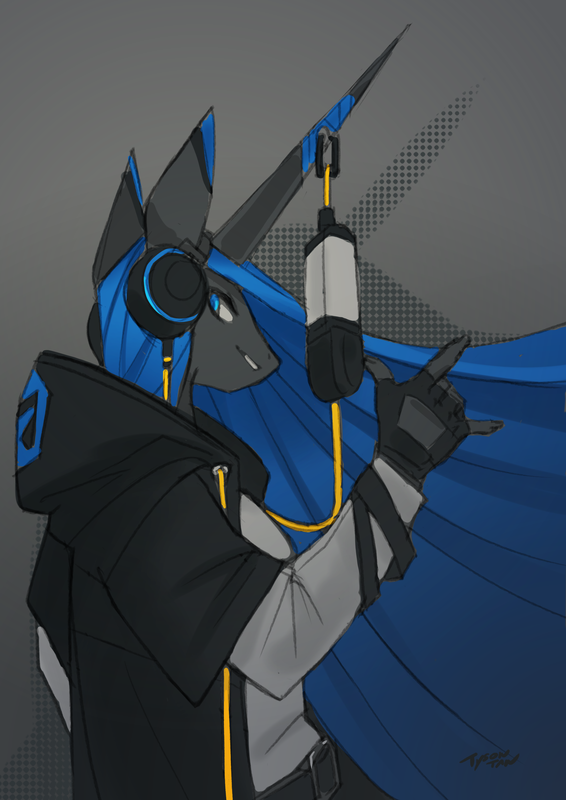 Taking advantage of both the aesthetic perks of being a unicorn (and always having a nice place to hang her microphone) and her own "magic" powers, she travels from place to place, sending her soothing voice across the airwaves wherever she goes. Azura's first name, like AzuraCast itself, is named after the prominent deep blue color featured across both the web application itself and its mascot's design, often referred to as "azure" blue. Azura's last name, Ruisselante, is the French word for "streaming", but not like radio streaming; rather, like the motion of water through a small river or over a waterfall. 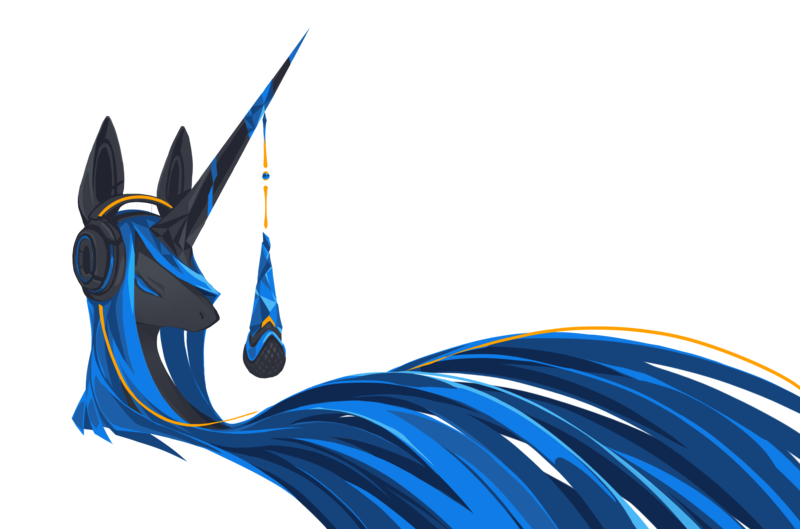 The name is intended as something of a double metaphor, as AzuraCast is both "streaming" software, and Azura's design (particularly her mane) is long, flowing, and indeed "streaming". The name is also a nod to our French developer friends, who were instrumental in helping develop the early internationalization of the application, which is now available in many languages around the world. Azura was envisioned and designed by renowned digital artist Tyson Tan. A long-time supporter and user of Free and Open-Source Software, Tyson Tan very generously donated his time and creativity to create our project's beautiful mascot. When creating Azura, Tyson Tan wanted to preserve the heritage of this project. 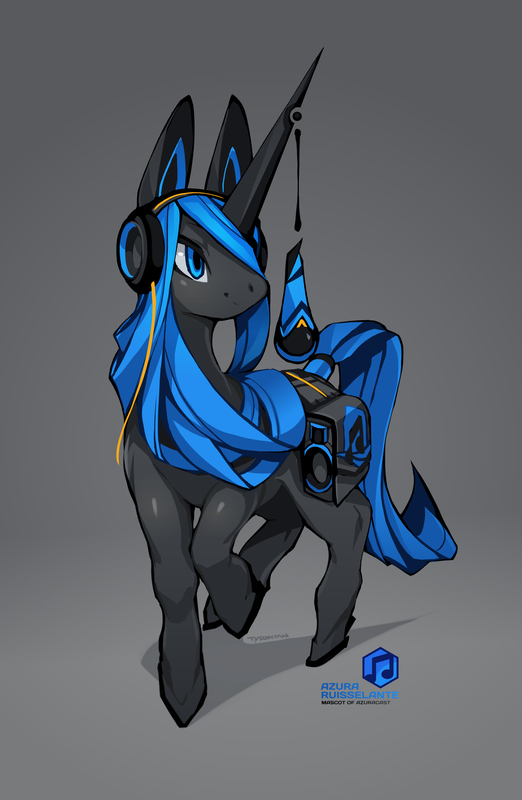 In 2012, what is now AzuraCast started as Ponyville Live, a radio station and media aggregator specifically built for the My Little Pony fandom. Azura is inspired by the show's signature style, but with a distinct visual appearance that's unique to this project. Tyson Tan is also the artist behind Krita's Kiki, KDE's Konqi and many others. We're immensely grateful to Tyson Tan for his support of our project and the FOSS community at large.